This post is geared more to the parents of children learning French…If you’ve ever wanted to learn more French yourself, I found a great language site and it’s free. It’s www.livemocha.com. It’s a great Web Site because you can build a community of friends while you’re learning French. You can even record yourself speaking French and then get feedback from native French speakers. It’s really a great site for adults who want to learn a foreign language. When you use Flip Flop French, make sure you don’t over do it. If your child/student gets distracted and starts looking around the room, or trying to get off their chair, it’s time to stop for the day. It’s best to get a routine going for when you practice French and use your Flip Flop French workbook, that way they expect it and eventually will look forward to their ‘French Lesson’. For my children and for the students I have taught in the past, I think that learning a new language is easier in the morning when they are fresh – about 10am. They are not yet hungry and not yet ready for a nap. Try different things to motivate your children. You know them best…and as we all know all kids are different so try different things. If your 3 year old like cars, then focus on the colors of cars that day. However, if you 5 year old is really into trains (like my son), then you can play with trains while practicing French. He’ll never even realize that you’re trying to teach him something. Just find something that interests them and then run with it. 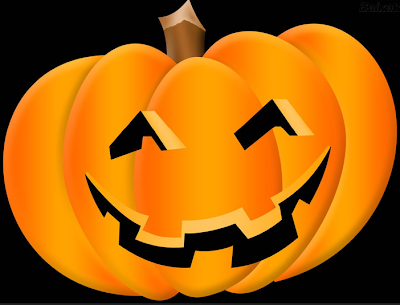 Halloween is in the air and it’s all my children are talking about…what they will dress up as on Halloween and all about the Halloween decorations around our neighborhood. I am taking this opportunity to teach them a few Halloween words in French. Here are just a few that you can teach your children as well. A nice activity you can do to really reinforce these words is to make Halloween cut-out cookies and everytime they make a witch, say ‘la sorcière’. In no time they will be pointing out when you are making ‘sorcière’. Be creative and have fun!! I think it’s important to teach your children very everyday words in French. Especially for young kids when their vocabulary is so limited. For example…Lately I’ve been working with my kids on ‘ici’ for ‘here’. When we read a book in English or French, I ask them were things are and they will point and say ‘ici, ici’. Even my 2 year old caught on in a matter of minutes. Now whenever both of my kids want to say ‘here’ in English, they are saying ‘ici’ without any help from me. It’s really a wonderful feeling when you know you have something mastered and it is etched in their minds. Other words to use this method are: there, this, that and other common phrases of children.